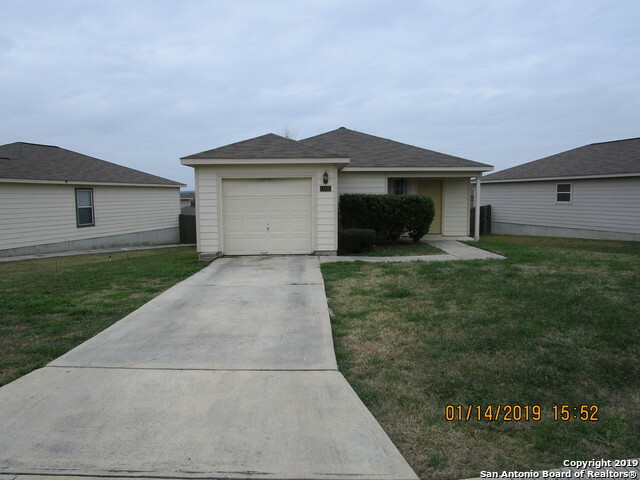 All CANYON CROSSING homes currently listed for sale in San Antonio as of 04/22/2019 are shown below. You can change the search criteria at any time by pressing the 'Change Search' button below. "SUPER COZY SINGLE STORY HOME 3/2/1GA. OPEN FLOOR PLAN AND OPEN EAT-IN KITCHEN. NEWLY REMODELED,INCLUDES NEW PAINT,NEW FLOORING,NEW CARPET,LIGHT FIXTURES & MORE. PLUS A NEW BACK YARD. GREAT LOCATION AND EASY ACCESS TO HWY 90,1604, AND LOOP 410." "Adorable single story home! Open floor plan with wood laminate flooring in living area, updated kitchen with custom cabinetry, three bedrooms, back yard has view of rolling hills. Quick access to hwy 90 and 1604,minutes from LAFB, Sea World, Alamo Ranch Shopping and schools." "The mortgage lender is reviewing the recent appraisals and BPO's before they give seller ok to accept an offer. THIS is a Short Sale. I am accepting offers per instructions from lender. Currenlty I have over 12 offers in hand. They have been submitted to the seller and lender. That is all of the information I have at this time. 3/3/19"